In this episode of the It’s Going Down podcast, we caught up with Cedric, a journalist who was injured during clashes between neo-Nazis in the Traditionalist Worker Party (TWP) and anti-racists and antifascists in Sacramento, California in June of 2016. In a past episode of the It’s Going Down podcast we documented the work that went into supporting those who were injured, but since that episode aired, much has come to light about the interactions between law enforcement and neo-Nazis who attended the rally. [T]he police did not treat [Cedric] like a victim. Records obtained by the Guardian reveal that officers instead monitored his Facebook page and sought to bring six charges against him, including conspiracy, rioting, assault and unlawful assembly. His presence at the protest – along with his use of the black power fist and “social media posts expressing his ideals” – were proof that he had violated the rights of neo-Nazis at the 26 June 2016 protests, police wrote in a report. In our discussion, Cedric talks about how while he was passed out and under the influence of pain medication in the hospital following being stabbed, police took his belongings. When police finally returned his journalism equipment, he found that his footage had been destroyed. Police would go onto claim that photos of Cedric posing with other African-American stabbing victims in the hospital giving a “raised fist” salute was evidence that he had intended to attack neo-Nazis. Cedric would go on to tell us that this type of behavior did not surprise him, as his previous journalistic experience in the bay area included instances where he witnessed police destroy and plant evidence. 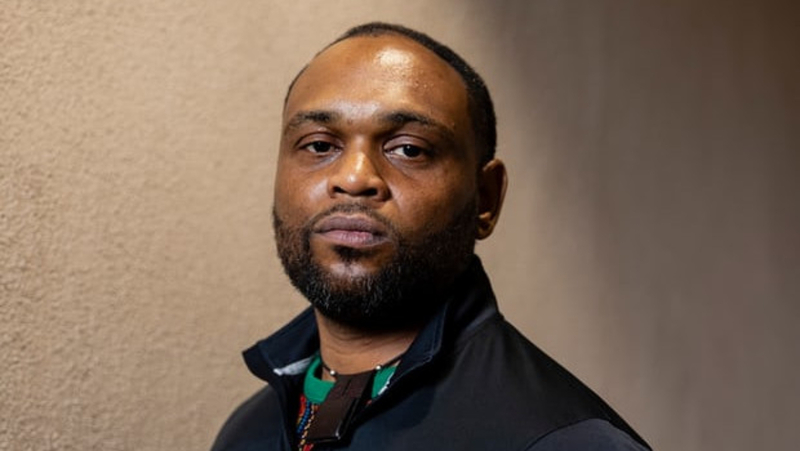 Cedric’s case is a shocking and eye-opening example of the lengths that law enforcement will go to target antiracist and antifascist protesters simply for having ideas that challenge and confront white supremacy, or journalists with the wrong color skin.